Drag the slider below to see the before/after view. 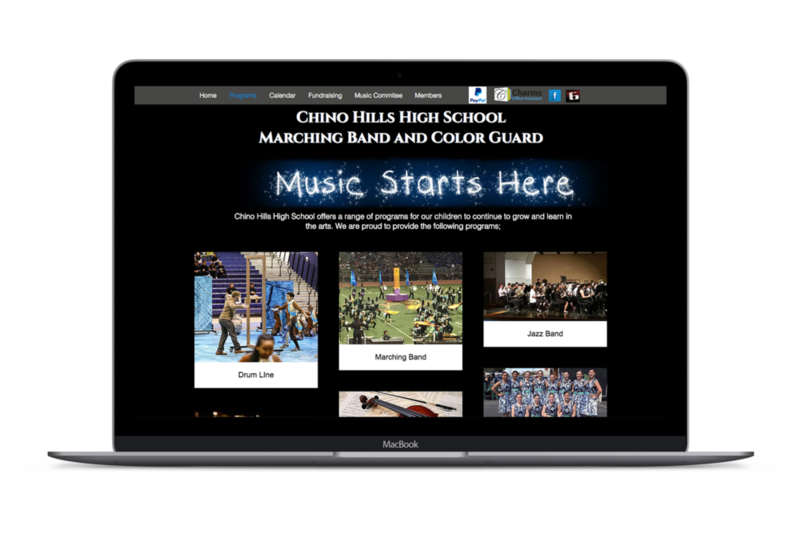 Chino Hills High School is known throughout the music community as one of the most highly regarded high school music programs in the country. Their marching band, drumline, jazz band, and color guard have won multiple national competitions and are on the forefront of empowering high school students through the arts. But running a program of this caliber takes more than a boatload of talent… it also takes a boatload of communication between students, parents, teachers, and sponsors. And while most high school band programs have some sort of website or Facebook group, prioritizing a great design often goes on the back burner. 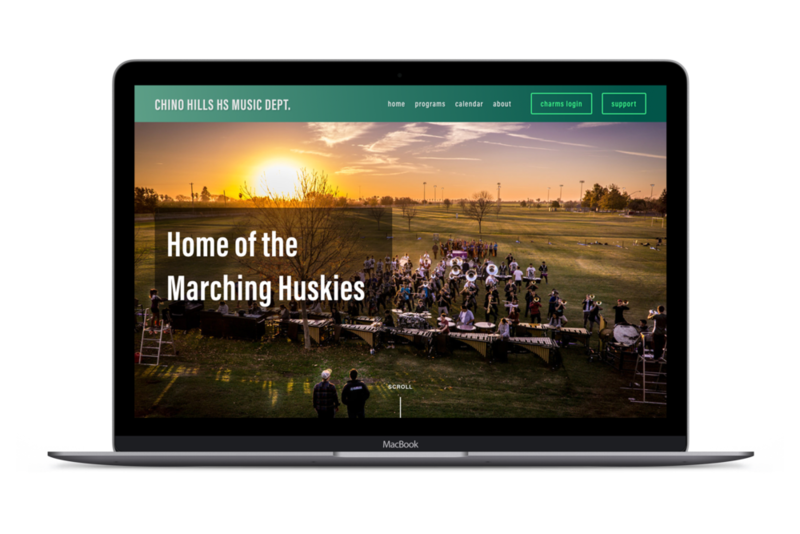 We wanted to change that, so the CHHS Music Department’s website could match the quality of the musicians who comprise their seven incredible programs. I would like to give a HUGE shoutout to my long-time friend and now partner in website crime, Thomas Claesen for his willingness to team up with me on this project. He was a huge part in building the site, and most notably did all of the styling you see on the site (the color palette which was derived from CHHS's school colors, the modern gradients, beautiful custom buttons, striking typography, and custom mobile styles). Bravo, Thomas! I look forward to working with you on many more projects to come. Let me make your next website. Learn how to build a Squarespace website. © 2019, but feel free to steal whatever you like.